Why do we fix things and people? What are our intentions? It is quite clear that not everything can be fixed, that not everyone can be saved, and that not everyone wants to be saved. People have flaws and art is unique, so why are humans inclined to fix everything that seems a little different? Elizabeth V. Spelman describes the human reaction to fix things in her novel, Repair, in which she calls Homo sapiens “Homo reparans”. Spelman describes three kinds of mending/fixing in her writing. 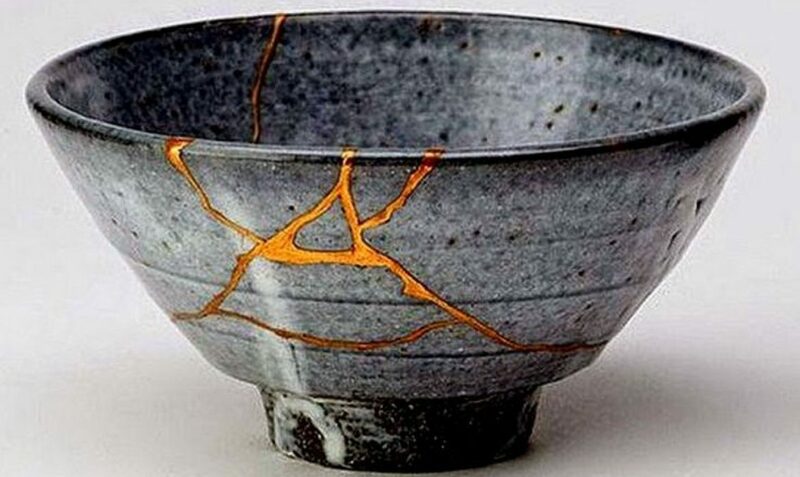 The first one is simply called “repair” and this means to maintain a connection to the past in order to move forward. Next, there is “restore”, which is fixing something in a way for the object to be an authentic reproduction of its original form. Lastly, Spelman describes, “conserve”, which is invisible mending. While something like a car can be either repaired or restored, paintings are usually conserved. Can a broken heart ever be completely repaired? Even if it can be repaired, will it ever be restored and be just like new? Can a hurt relationship ever be restored? One can forgive someone who has hurt them, but can they ever forget all the pain that person has put them through? As Homo reparans, we can fix most situations. Jackie can choose to keep the baby, give him/her away for adoption, abortion, etc., but who will help Jackie deal with the stress and emotional pain of any of these decisions? We can fix things and situations, but who fixes us? Who fixes Jackie? Mending/fixing of whichever of the three types, to whatever degree seems like a never-ending cycle. It seems as though in the course of fixing things, other things break; as Jackie fixes the situation, she will very likely be hurt in the process. As for repairing a relationship, there is no scientific formula for that either. Apologies and forgiveness both depend on the people involved. If the same problem was to occur in two different relationships, the outcomes and consequences in each relationship would probably differ. History plays a great role in this. If there is an argument over a specific problem that two people have never argued over in the past, they’re probably more likely to forgive and move forward. However, when two people have had the same argument over and over again, there are only so many chances. It is very hard to heal a broken heart. Humans are inclined to forgive the people we love, but we are also inclined to hold onto things. Forgive, but never forget. It’s interesting how people can claim to forgive people for things they can’t seem to let go of. When you forgive someone for something, it’s not right to keep bringing up what they did wrong and continue to hold it against them. This is the main reason that hurt relationships can never be completely repaired; people can’t let go. Everything has flaws, as we learn from a young age that nothing and nobody is perfect. However, we don’t fix everything. How do we, as Homo reparans, decide what needs to be and what doesn’t need to be repaired? Perhaps humans only feel the need to fix the flaws that are visible to other people so that they appear to have no weaknesses and no imperfections. Or, maybe we just fix the things that make us the most insecure since we would never have time to fix every single feature we are insecure about. It is also possible that humans just simply fix the things we can’t stop thinking about, like the relationships we care about the most. It is quite clear that no Homo reparan will never be able to fix everything. Spelman describes three kinds of mending: repairing, restoring, and conserving in Repair. It seems as though she believes that physical objects are much easier to repair than emotions and feelings are. Some things can never be fixed and some people can never rid of all the pain they feel. What does it mean to restore a person to basic working condition? Is it even possible? Who decides when there is justice? It seems as though there are 2 common and distinct meanings to the word, “justice”. First, there is justice in the courtroom, which is the kind of justice based on the law. Next, there is a more complicated sense of the word; this is the kind that deals with emotions and feelings, which also happens to be the meaning that people tend to disagree on. Spelman touches on the meaning of the word, “justice” in chapter 4 of her book, Repair. Spelman raises an interesting question as to what the true meaning of justice really is. Is sending someone to jail for a committing a horrific crime enough? It seems as though the legal system should put just as much effort into healing the victim as they do into punishing the suspect. No mother should ever have to bury her child, however I had to watch my aunt as she buried hers. About four and a half years ago, my cousin, who was only 23 at the time was drugged up and taken back to a hotel room where she later overdosed. You would think that the man who drugged her would go to prison immediately, however the court system delayed any sort of justice for my family. Convicting someone of murder is not that easy to do because you need to have a lot of evidence. There were three main pieces of evidence in my cousin’s case. First, the pathologist who conducted the autopsy said that the track marks left on both of my cousin’s arms was a clear indication that she couldn’t have done it to herself. Next, there were the police records of the man stealing all of her jewelry and maxing out her credit card. Lastly, there was the hotel clerk who said that the man came downstairs and told the front desk to make sure no one went upstairs to check on her. To me, it seems as though that is clearly enough evidence to send this man to jail for murder. However, to the court, there was only enough evidence of the man leaving someone to die, but not to actually commit him of murder. After many delays and many court dates, after 4 years the man was finally charged with leaving my cousin to die. Knowing the man was finally behind bars didn’t bring me or my cousin’s family that much ease. Yes, knowing that he was locked up and couldn’t hurt anyone else for a long time was relieving, but knowing that he wasn’t rightfully punished for breaking a loving family apart only brought more agony upon us all. Four and a half years later and there is still no closure because the case is still going on. So, perhaps there is justice in the courtroom, but there’s no justice for my family. No punishment will ever bring my cousin back, but the right punishment can bring my family justice. Spelman speaks of restorative justice, which I guess my family got because the case is closed and that man is behind bars. However, how can we ever have reparative justice? No one can ever bring her back, my uncle can never walk her down the aisle, she can never start her own family, etc. Maybe the courtroom should put more of a focus on taking care of my aunt and uncle along with my cousin’s brothers and even cover the expenses for the years worth of therapy they will probably have to go through to ever be half as happy as they were when my cousin was around. Is the suspect being punished even justice at all? We Fix Things, but Who Fixes Us? Why do we fix things and people? What are our intentions? It is quite clear that not everything can be fixed, that not everyone can be saved, and that not everyone wants to be saved. People have flaws and art is unique, so why are humans inclined to fix everything that seems a little different? Aren’t the “different” things, experiences, and people the ones worth remembering? Elizabeth V. Spelman describes the human reaction to fix things in her novel, Repair, in which she calls Homo sapiens “Homo reparans”. Spelman describes three kinds of mending/fixing in her writing. The first one is simply called “repair” and this means to maintain a connection to the past in order to move forward. Next, there is “restore”, which is fixing something in a way for the object to be an authentic reproduction of its original form. Lastly, Spelman describes, “conserve”, which is invisible mending. While something like a car can be either repaired or restored, paintings are usually conserved. However, what happens when what needs to be fixed is not a physical item? Can a broken heart ever be completely repaired? Even if it can be repaired, will it ever be restored and be just like new? Can a hurt relationship ever be restored? One can forgive someone who has hurt them, but can they ever forget all the pain that person has put them through? Everything has flaws, as we learn from a young age that nothing and nobody is perfect. So, why don’t we fix everything? How do we, as Homo reparans, decide what needs to be and what doesn’t need to be repaired? We obviously can’t erase all problems, so why are some flaws okay while some are not? Perhaps humans only feel the need to fix the flaws that are visible to other people so that they appear to have no weaknesses and no imperfections. Or, maybe we just fix the things that make us the most insecure since we would never have time to fix every single feature we are insecure about. It is also possible that humans just simply fix the things we can’t stop thinking about, like the relationships we care about the most. It is quite clear that no Homo reparan will ever be able to fix everything.